Section contains personal care items / toiletries or consumer products used in personal hygiene. Includes Miswak toothsticks, herbal toothpaste, bidet, hina and similar items. Personal Care There are 12 products. This unique new product by Darussalam is an attempt to ease the problem of access to clean dirt when one can't perform full wudu. The box contains soft pad filled with dust to be used when water is not available or when one is sick. This unique moisturizing health-promoting shampoo with essential properties of Black Seed Oil is wonderfully nourishing for hair and scalp. 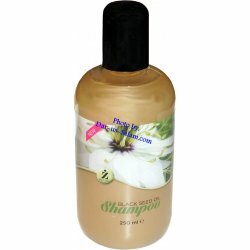 This shampoo enhances natural color and stimulates roots to promote healthy hair. Bottle size: 250ml e.
Full box of Miswak holders for the whole family to use or give away. 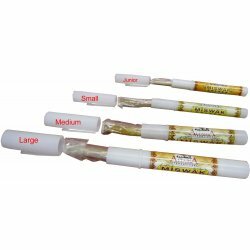 Miswak holders available in 4 sizes to suit your siwak size or choose a variety pack with mix of all sizes. New concept to safely and hygienically store your sewak after use. Fresh sealed packed Sewak/Miswak imported from Pakistan. Each siwak is about 1/4" (.7 cm) thick and about 6" (150mm) long. 1 box contains 72 pieces. 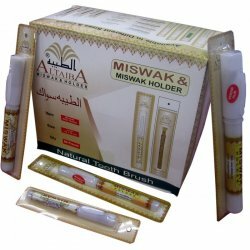 Fresh Sewak Al-Falah (Arak Miswak) - meswak - the traditional natural tooth brush from the arak tree. 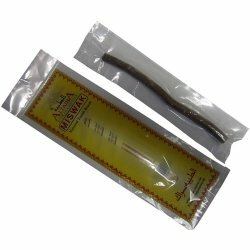 Hygienically processed - vacuum packed peelu miswak sealed to retain freshness and softness. Natural formulaton for healthy dental care. Large 6.5oz Herbal Essential Toothpaste: Nature's gift to Mankind - A complete daily refreshing dental care protection. 100% Fluoride Free, Halal. New 5-in-1: Zaffron, Tea Tree, Aloe Vera, Ginger and Lemon. 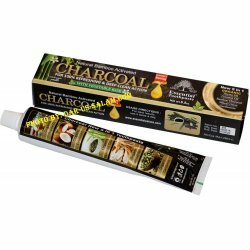 Large 6.5oz Miswak Essential Toothpaste with vegetable base - Completely amazing & refreshing dental care protection. 100% Fluoride Free, halal toothpaste. New 5-in-1: Miswak, moringa, honey, cinnamon and olive. Large 6.5oz Neem Essential Toothpaste with vegetable base - Complete refreshing dental care protection. 100% Fluoride Free, halal toothpaste. 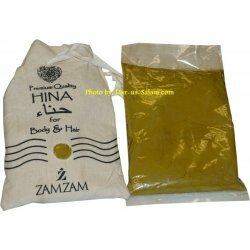 New 5-in-1: ORGANIC Black seed, baking soda, neem extract, mint oil and clove. This hand held bidet / Muslim shower kit is easy to install in your existing flush tank source with no expensive professional plumbing support. The kit includes a connector with an integrated flow control valve, a nylon reinforced hose with a trigger operated spray.